Owenea FM’s annual evening of music takes place at the Nesbitt Arms Hotel on this Thursday June 7th. The event attracts hundreds of music and dance fans and is staged each year to raise funds for the popular station which broadcasts each weekend to Ardara, Glenties and Portnoo on 100.8 and around the world on oweneafm.com. So far guests appearing include Gerald McTaggart, Connor O’Donnell, Anthony McBrien, Shaun McMonagle, James and Bridgeen, Stephen Bennett Snr and Wagon Wheel. Additional guests for the comprehensive programme will be announced later. Tickets are just €5 and radio presenters are now visiting areas. There will be a supporting raffle and the doors open at 9pm and the evening begins at 10pm sharp. 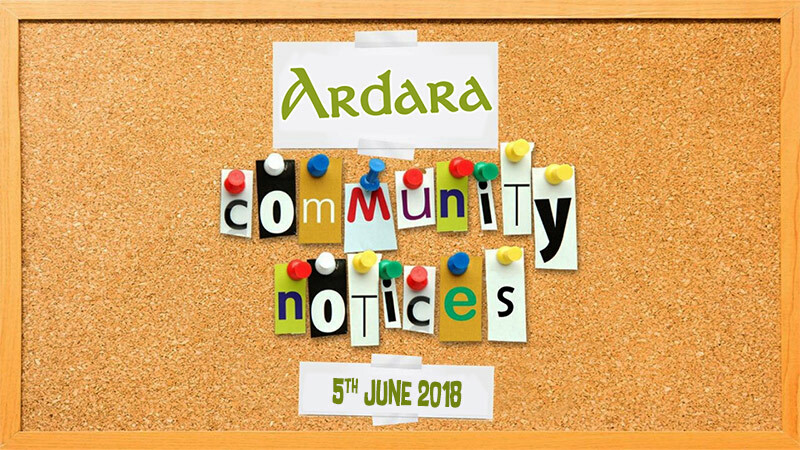 A gift draw offering prizes of €200, €100 and €50 will be among the attractions at the Ardara Church of Ireland Coffee Morning being held this Friday 8th June in Teague’s Bar. Draw tickets can be bought from church members or on the morning. The event will also feature cakes, jams and other products and opens at 10.30am. The Blue Grass Festival takes place 20th to 22nd July and the main headliners are Geoff Scroggins and Coloroda, the McClein Family Band and The Mules and Men. More info to follow. The Johnny Doherty Festival runs 21st to 23rd September and will see Brid Harper, Dermot Byrne, Steve Cooney, Cherish the Ladies and the Friels are the main headliners during the weekend. More info to follow. The Summer Lights Festival was a great success. Thanks to all involved.